Clover Wireless works directly with businesses to help them recover maximum value from their current cell phones and tablets in a secure and environmentally friendly manner. 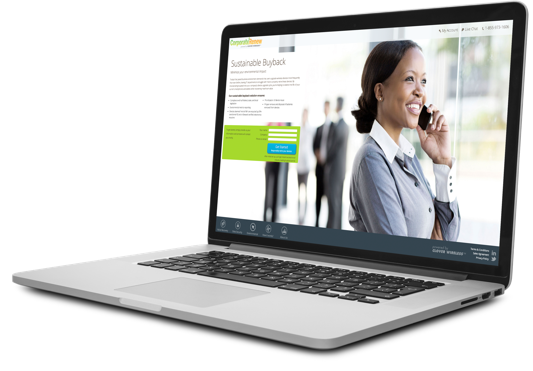 Clover Wireless’ corporate buyback program is called CorporateRenew and includes the CorporateRenew Portal - the #1 automated buyback platform in the industry. The CorporateRenew Portal helps you better control and manage your mobile inventory and offers visibility across multiple locations, automated and live order tracking, verification of data clearing and auto generated status updates at every step of the process. Our industry-leading expertise and closed loop repair and recovery process ensure you recover the most value from your current devices. We've streamlined the buyback process with our automated CorporateRenew Portal and further simplified our testing criteria to accept more devices than ever before. Clover Wireless maintains a global footprint supporting clients on a worldwide basis. We have the capacity and capability to quickly process and report all activity including receipt information, data sanitization verification, environmental disposition and asset values. All devices are tracked at a serialized level. Further, we will track all mobile assets by location, cost center, location or department and provide reporting back in both detail and summary. Clover Wireless uses the latest automated data sanitization tools to ensure the removal of all personal data and all corporate IT policies from each device. You will be provided a detailed report by serial number verifying the successful removal of all data. Clover Wireless will create a customized logistics plan to support your corporate liable mobile devices and individual liable devices. Simplifying logistics, tracking and reporting is at the root of our programs. Clover Wireless is committed to making the buyback process simple and convenient. We will do all the “heavy lifting”. A dedicated account manager will manage the process from beginning to end and ensure your complete satisfaction. Cash in your unused mobile devices!